Strong defense + Roger “Mighty Mouse” Torres + Le Toux can score again = VICTORY!!!!!! Let’s hope Zac MacMath forgets the first half, Seba remembers that goalscoring feeling, and Freddy&Rog never forget how to tear apart a defense. 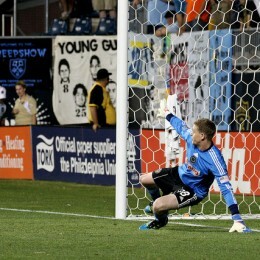 Seba scored, MacMath and Mapp played well, Migs filled in well… and the Union still lost. Which god of soccer did we tick off, anyways? 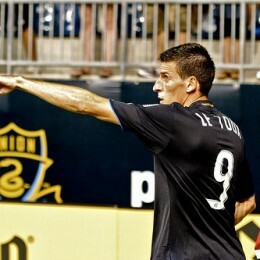 Le Toux nets two and Freddy Adu gets his feet wet in the Union’s 2-2 draw with Dallas. We’ve got player ratings and analysis. Another frustrating tie means it’s time to start asking how this team should be handled during the latter stages of the season. Soccer being a team sport, player ratings have the inherent flaw of isolating an individual out of eleven interconnected pieces. In this case, it was eleven pieces who struggled to find consistency in connecting well. 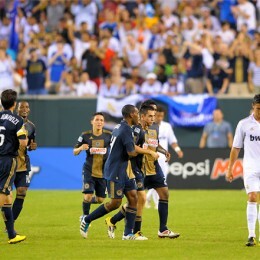 After two friendlies, the Union came out unscathed and confident. The team played well as a whole, but it’s the young guns who really turned heads. It’s hard to get bad ratings when you’re the only team on the field. 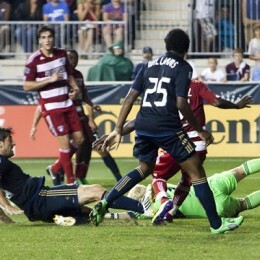 Full player ratings from the Union’s comeback against new-look DC United.